One of the two security guards standing behind Linze was about 30 years old, while the other was around 40 plus. The security guard that was about 30 years old donned the exact same uniform as that security guard standing behind the metal doors; evidently, that security guard was one of the security from this set of estates. As for the other 40 plus security guard, his uniform was almost the same as that of the roughly 30 years old security, but the id tag pinned on the left handed side of his chest indicated his status. It seemed that this elderly security guard was the security manager of this place, and the person who had his hands stretched out earlier placing on Linze's shoulders was him as well. Seeing that his hold was being dodged by Linze, that security manager didn't carry on enacting any further movements. The security manager opened up his mouth, saying towards Linze. Seeing the situation as such, Linze frowned his eyebrows. As Linze spoke, he appeared on planning to leave, but that younger security guard beat Linze to the punch, instantly standing right in front of Linze, blocking the pathway to his exit. The security manager looked at Linze as he continued speaking. Linze didn't place too much of his thoughts onto it, nonchalantly throwing out an excuse that's rather specious. That security manager said as such, with a rather deeply implied meaning laid therein, pausing for a moment before continuing to speak afterwards. Linze at that moment felt he had left such a large oversight, as even a ordinary living community would currently be fully littered with surveillance cameras, what's more with this kind of luxury private set of estates already. It definitely must have been a 24 hours, omnidirectional surveillance. Perhaps the other party wouldn't be lying to him, as they definitely would have a part of the footage about him secretly stalking Xu Yanyan. Just that he wasn't sure exactly on how long this footage was that the other party possessed. Currently, Linze mind went about spinning in rapid motion, painstakingly thinking on what sort of excuse he should be finding to escape from the upcoming predicament. But he hadn't yet thought up of any when he heard the security manager continue on saying. Forget about Linze currently being in a state of living alone, even if there was a family member of his at home, Linze wouldn't want them to come pick him up at this sort of place. The security manager appeared to be very experienced, and was seemingly not a person who could be easily decieved. Right now, even if he went on continuing to bull out a couple of lies, Linze seemed to feel that he wouldn't be able to dupe the other party. The current situation seemed to only allow Linze on properly explaining towards the security manager already. Linze felt that with regards to lies, those which contained half truths were the easiest on letting people believe them. Though Linze was currently being troubled by the security manager, he wasn't holding any grudges against the other party. As he was merely dedicated to his job, having his duties properly carried out. 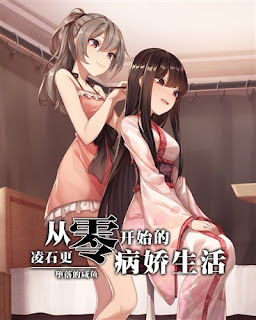 With a girl like Xu Yanyan who didn't display much sense of cautiousness, it indeed would require such an adult to protect her. After the security manager heard Linze's words, he appeared to be not even a wee bit willing to believe onto it. Just when Linze was thinking on how to take out some sort of evidence to prove that his words were true. Suddenly a voice appeared from Linze's back, and if Linze hadn't remembered it wrongly, the owner of that voice should be the person that he was currently stalking. Linze turned around to have a look, it was indeed Xu Yanyan. With his left hand slumped on his cheeks, Linze currently felt rather awkward. The security manager asked Xu Yanyan. Xu Yanyan aided Linze in providing out an explanation. ^Unknown to Linze, Yanyan was stalking him while he's stalking her.